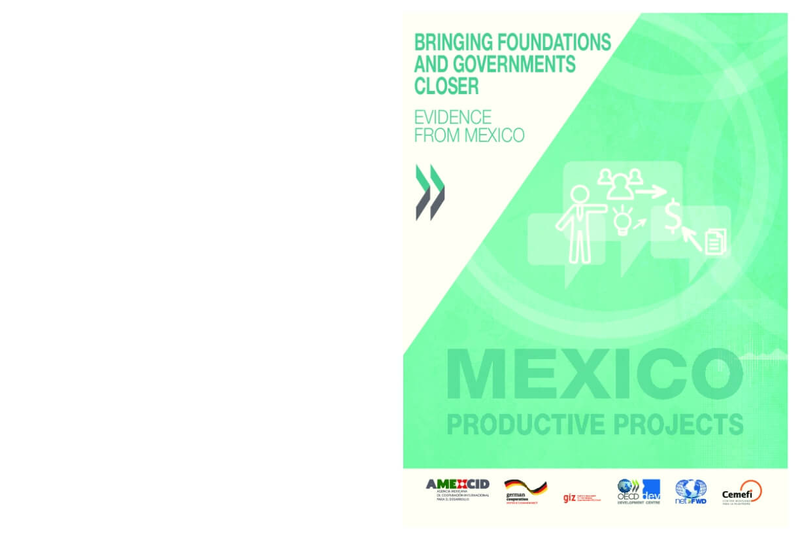 The recommendations formulated in the study provide the basis for close and effective cooperation between Mexican foundations and government agencies, including the Mexican Agency for International Development Co-operation, Agencia Mexicana de Cooperación Internacional para el Desarrollo (AMEXCID). The study expands the spectrum of key development partners for a co-operation agency of the South. Similarly, it has been recognised that not only governments, but all actors, including foundations, must co-operate and assume their respective responsibilities in order to achieve the SDGs.